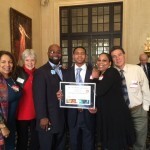 Congratulations Travon Stearns, Youth Citizen Service Award of the Month! 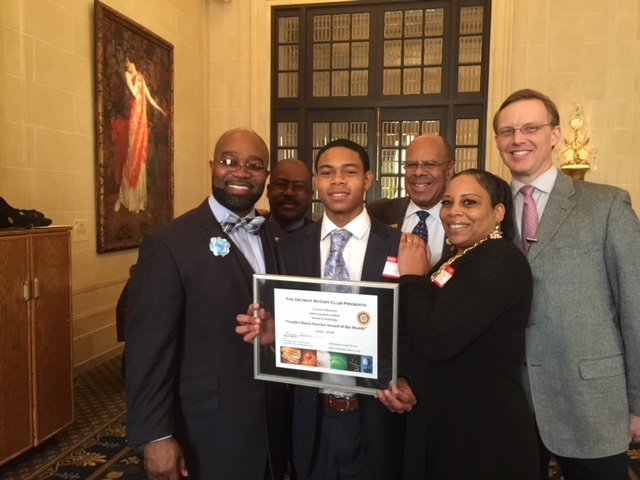 Travon Stearns, a student at Osborn Collegiate Academy of Mathematics, Science and Technology, was honored with the Youth Citizen Service Award of the Month on Tuesday, March 2 at the Detroit Athletic Club. 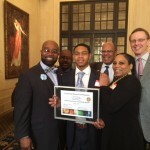 The award is sponsored by the Detroit Rotary Club. 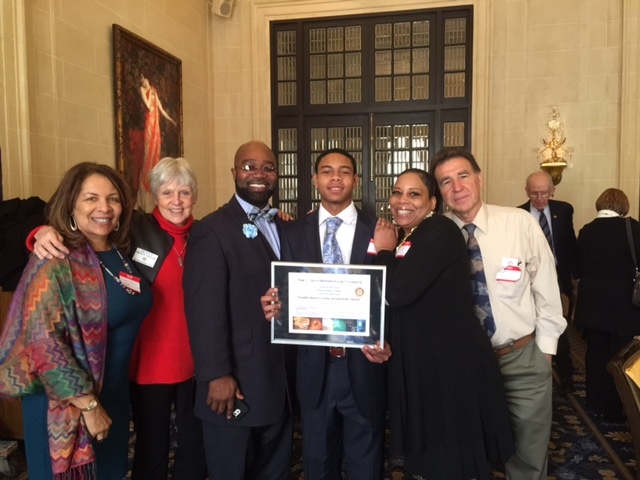 In attendance were Travon’s proud parents; counselor, Nazzareno DelGreco; Scholarship Chair, Penny Bailer and DPS Counseling Director, Barbara K. Smith, Ph.D.
Travon will be attending the University of Michigan- Ann Arbor in the fall! Congratulations Travon! This entry was posted in Info News Center, News and Press Releases, Student Showcase and tagged 566, Guidance and Counseling.